– Cielo – Salem Film Fest award winner! – Ocean’s 8 returns for a 2nd Week! – Ottawa Premiere of BuyBust! 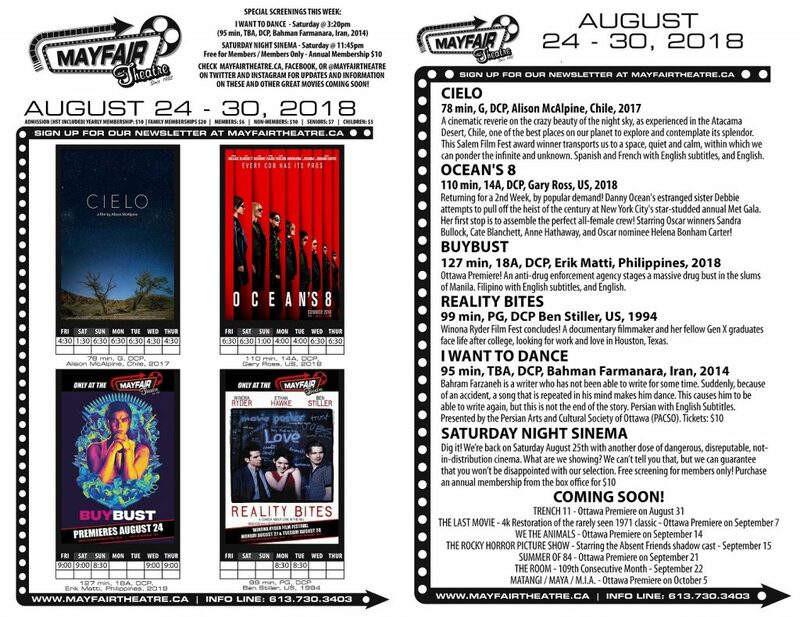 – The Winona Ryder Film Fest concludes with Reality Bites!